Leaked press images of Nokia Lumia 928 have been posted by Twitter account @evleaks. Image shows front and back view of the highly talked about device which is cousin to highly acclaimed Nokia Lumia 920. Lumia 928 will be a flagship smartphone for Nokia. As per currently available (leaked) information Nokia Lumia 928 will have Poly-Carbonate body but will be thinner than Lumia 920. The Lumia 928 will be 10.2 mm at its thinnest point and 11.2mm at its thickest due to little curve on the backside as evident in the leaked image. The Lumia 928 boasts of a 4.5-inch OLED display which is better than even the IPS LCD display of Lumia 920. It also comes with all other specialties of Lumia 920 like Puremotion technology and an awesome Camera with Carl Zeiss optics. Lumia 928 also supports simultaneous voice and LTE (SVLTE). It has support for 4G LTE network. Lumia 928 has 1.5GHz dual-core processor, 32GB of storage, and 1 GB of RAM to power Windows Phone 8 apps and games. On the operating system side, Lumia 928 will run a new version of WP 8 named second General Distribution Release (GDR2) Windows Phone 8 update. 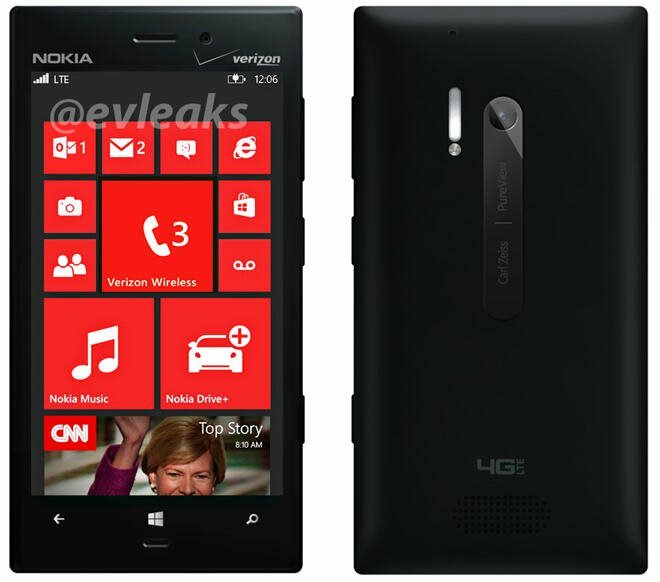 Though official release date is yet to be announced for Nokia Lumia 928, the rumored/ leaked date is early May 2012. This will be made available on Verizon 4G network. This post will be updated to the actual date of release of Nokia Lumia 928 once it is officially announced.